Oh, we do so love the quirkier summer festivals at Campsite Chatter! And this is definitely one of them. If you are looking for a memorable centrepiece activity to your camping or touring weekend towards the end of summer, sending a nod towards our historic harvesting traditions, then heading to the pretty village of Belbroughton in the Midlands for the Belbroughton Scarecrow Festival will surely stick in the memory of both young and old. The last week of September sees this friendly village transformed, when the population of round about 2,500 swells to include a plethora of straw-filled characters and the thousands of visitors who flock to see the villagers' weird, wonderful and usually highly humorous contributions to the village's communal scarecrow displays. Look left over a garden wall and spot a scarecrow pirate, look right under a rose arch to see a scarecrow cyclist. Each year, under a new theme which spurs locals on to new heights of creativity, the village is transformed into a playful gallery of straw-art - ideal for a wander! 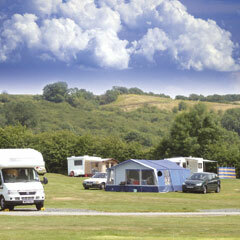 Which is why we have listed these camping sites in Worcestershire, near to the fun and games at Belbroughton. Why not make a visit to this scarecrow festival the focal point for your end of summer camping weekend? You might need to strap one of the kids to the roof of your car to fit all this in, of course, but it's all in the name of fun and charity, afterall. So, that's all good then. Held each year in the last weekend of September, the festival organisers ensure that there is plenty to do, with bouncy castles, bungee trampolines, steam railways, donkey rides, an airshow, motorbike demos, shooting galleries and a crazy maze all making appearances in recent years. All-in-all it is a somewhat eccentric, decidedly fun opportunitiy to make the most of those last summer rays and keep the camping fun going just that little bit longer. For more information about this year's Scarecrow Festival click here: Belbroughton Scarecrow Festival. Camping in Worcestershire will provide you with access to plenty of activity and fun, including the Scarecrow Festival. Visit the Heritage Estates and Gardens of Hagley Hall or Witley Court and Gardens. 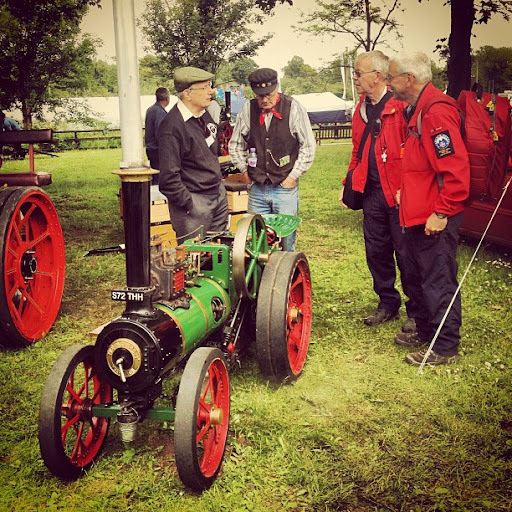 Take a steam ride along the famous Severn Valley Railway. Set out across the Malvern Hills area of outstanding natural beauty. 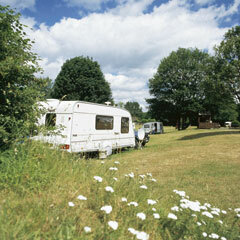 Here you will find details of the campsites closeby Belbroughton. Use the 'Things to do' tab on each site's individual listing to help you plan your stay - we list over 1000 pubs, restaurants, shops and attractions neaby each campsite along with directions to and reviews of each.